The arrival of the Switch signals the end of the Wii U. This means those keen to keep up with current trends will likely turf out their Wii U collections in order to fund Nintendo’s exciting new plaything. In a month or two from now, Wii U sections at the likes of GAME and CeX will be bigger than ever, and as such, games that are seldom seen will be easier to get hold of. In principle, anyway. There are plenty of rare collector’s editions and whatnot – Nintendo was quite fond of packaging amiibo with Wii U software towards the end of the system’s life – but what’s the rarest PAL retail release out there? All signs point to it being Cocoto Magic Circus 2, a shooting gallery packaged with two gun accessories, published by BigBen. Both Nintendo and Wikipedia claim it was released 26th December 2013. In fifteen years of Games Asylum’s existence, this is the first we’ve heard of a game receiving a ‘boxing day’ release. Its rarity boils down to two possible reasons. Firstly, it came in a large box – even at launch, retailers didn’t give the Wii U much shelf space, so likely chose not stock it. Secondly, a lot of BigBen’s games appear to only receive a limited run in the UK. We firmly believe the publisher’s own dully titled Truck Racer and Snipers are amongst the rarest Xbox 360 PAL releases. 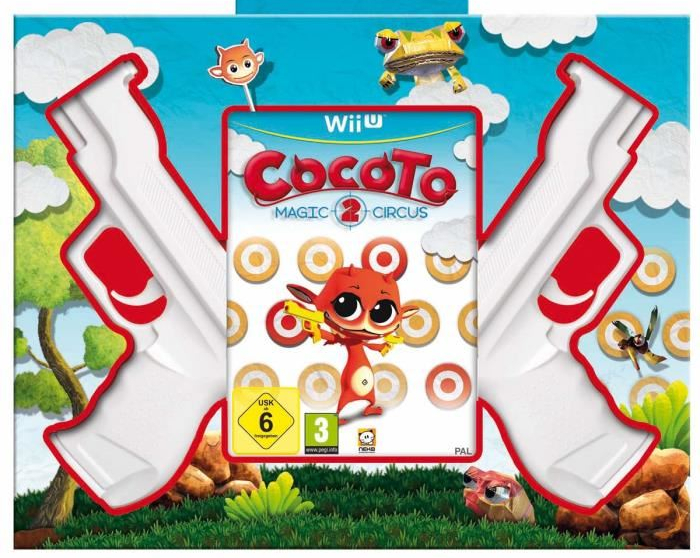 Most copies of Cocoto on eBay originate from France and Germany and sell for over £100. The Wii original, in comparison, can be found for around £10 with the plastic gun accessory. Reviews of Cocoto Magic Circus 2 are few – just three on Metacritic, which is one less than required for a Metacritic score. Both Nintendo Life and Cubed3 opted for 6/10s while Nintendo World Report felt it was worth a 7. Unlike some rare games, then, this one isn’t entirely awful. So what’s the second rarest Wii U PAL release? It’s hard to say. For first-party releases, it’s a toss up between Fatal Frame: Maiden of Black Water and the boxed version of Pokemon Rumble. As for third-party, EA’s Need for Speed: Most Wanted still commands a high price (£30+) but this appears to be down to desirability rather than the rarity. Criterion put serious effort into this conversion, even going as far to use textures from the PC version. Transformers Prime: The Game is also seldom seen, but usually sells for a little as £10. 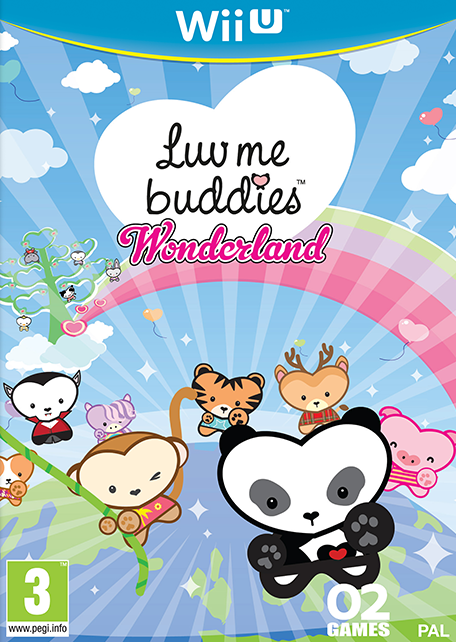 There’s a whole bunch of other, often forgotten, Wii U conversions too – Sniper Elite V2, Cabela’s Dangerous Hunts 2013, The Walking Dead: Survival Instinct, etc – but in terms of actual rareness we’re going to say it’s a triple whammy of O2 Games’ Fit Music for Wii U, Luv Me Buddies and Baila Latino. It appears they were only released in some parts of Europe, again in small numbers. 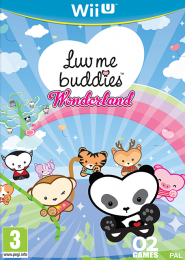 We pity the Nintendo fans shelling out £30 – the current going rate – for Luv Me Buddies just to secure a full PAL Wii U collection. Still, that’s far less than Cocoto Magic Circus 2’s asking price.